This is a stunningly fast rise of the oligarchy. 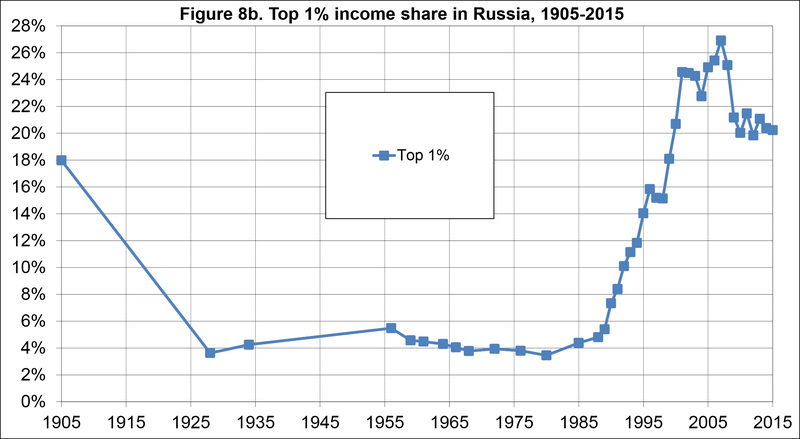 Communism fell between 1989 and 1991, and in the ten years after that the rich in Russia increased their income share from 6 percent to 24 percent. Has any oligarchy made that kind of progress that fast in modern history? The Russian oligarchy overshot the US by a little bit, but then lost some ground when oil prices crashed in 2008. For the past decade, their income share has been around 20 percent, exactly the same as the top 1 percent in America. 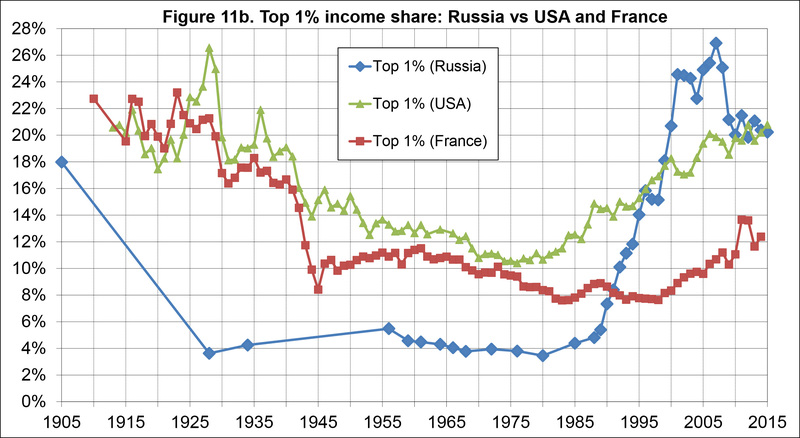 Bottom line: there are, needless to say, some differences in how income is allocated in Russia vs. the US. That said, if Russia is an oligarchy, then so are we.